Beginners can easily make this insulated carrier to hold an 8 x 8 inch baking dish! 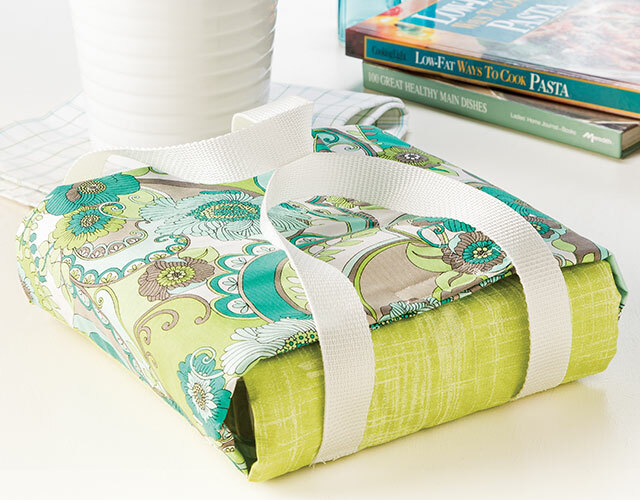 You'll learn how to sew and assemble this handy transport tote with designer Nancy McNally! Baking dish carriers are perfect for parties and potlucks! Heat-resistant batting will help keep your hot food hot and your cold food cold. In this video workshop, Nancy McNally shares many tips for sewing, assembling and finishing this pretty and practical tote! Work with pre-quilted muslin and heat-resistant batting. Cut, center, layer, and pin fabric, muslin and batting. Sew through thick layers with a walking foot. Sew basic stitches including straight and zigzag. Attach hook and loop tape closures. Position and attach handles for strength and durability. Class includes complete, downloadable step-by-step instructions and materials list for the Baking Dish Carrier. Learn to Sew streaming online class and DVD include full video and written instructions to make the Handy Baking Dish Carrier and Posies & Pocket Apron. 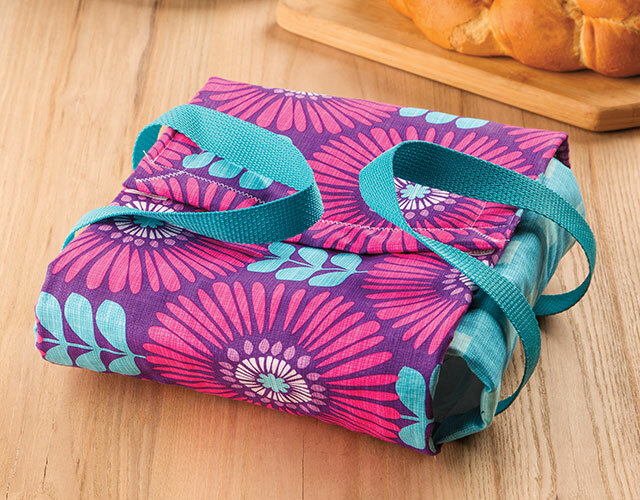 If you purchase Handy Baking Dish Carrier and/or Posies & Pocket Apron single-project online workshop(s) and later purchase Learn to Sew, you can receive credit for the single-project workshop(s) by emailing Customer_Service@AnniesCraftStore.com or calling 1-800-282-6643. I enjoyed this class and am anxious to make one of the carriers. I too would have appreciated the measurements for a 9 X 13 baking dish. The instructions were very clear and easy to follow. We quilters enjoy and appreciate those who are willing to teach these classes! I like the class Nancy makes it easy. I like that Nancy shows the use of straight or zig zag stitches. Do you have the measurements for a 9x13 baking dish? Good class...I really liked the simplicity of the class, yet you come away with the cutest project. Thank you. That was awesome! I am going to make a couple of these for sure! Thumbs up!